The official September temperature figures are out. So I thought I dive into it. 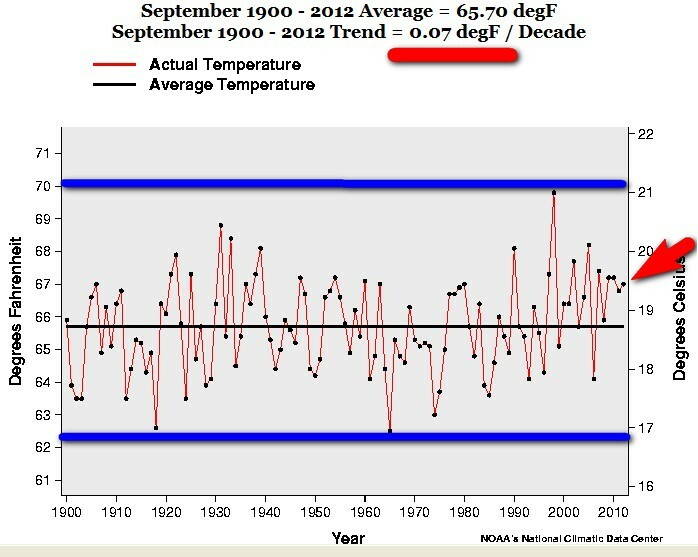 As usual I thought it would be interesting to look at the recent September US temperature from a “historic” perspective. To see how the decade trends have evolved during the last 112 years. 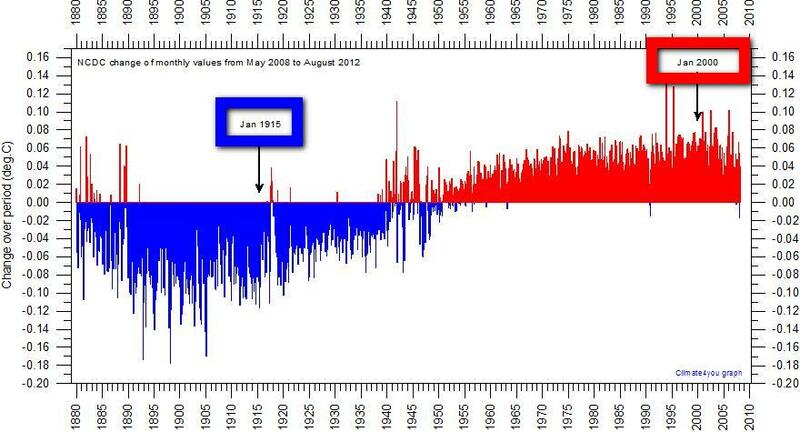 Many diligent people keep track of the CONSTANT manipulation and change of “HISTORICAL” temperature data. One is Ole Humlum, professor in Geosciences at Oslo University http://climate4you.com/. (My underline/bold and changes in the graphs and text). 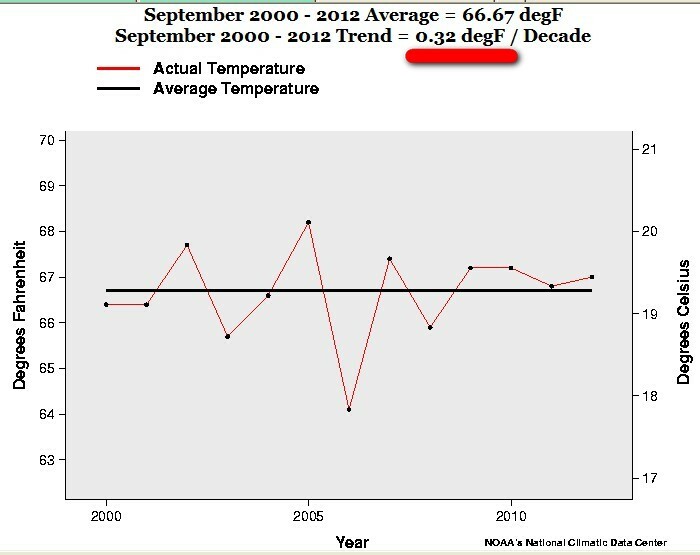 So the “warming trend” 2000-2012 for September is exactly 0.32 F (0.17 C) degrees a decade. That is a 3.2 F (1.7 C) warmer in 100 years. That’s what I call “warming”! 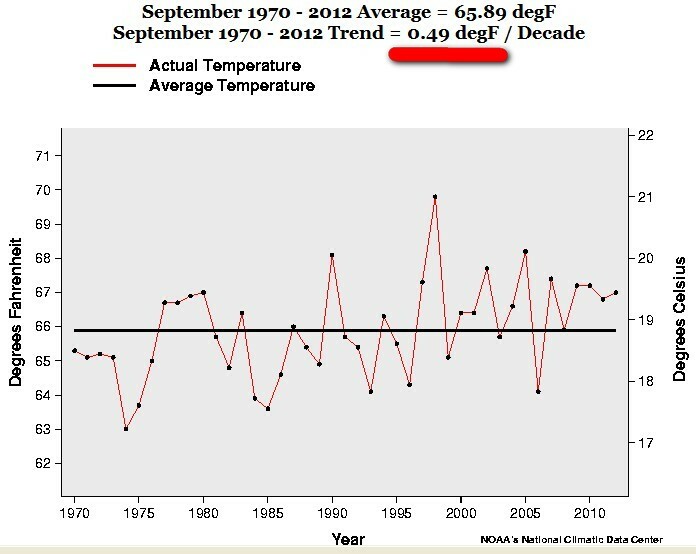 The September trend 1970-2012 is exactly 0.49 F degrees a decade. 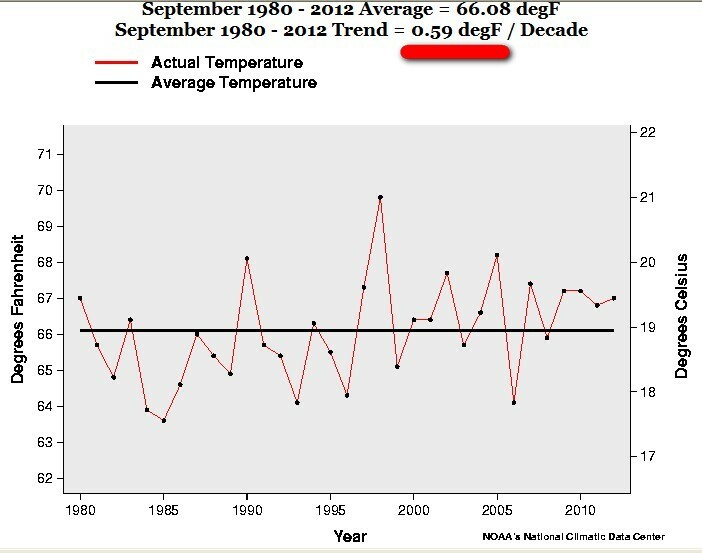 The September trend 1980-2012 is exactly 0.59 F degrees a decade. 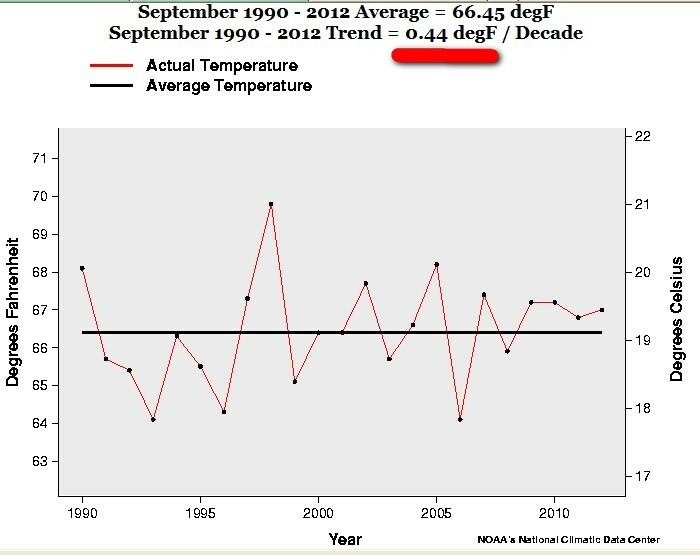 The September trend 1990-2012 is exactly 0.44 F degrees a decade. 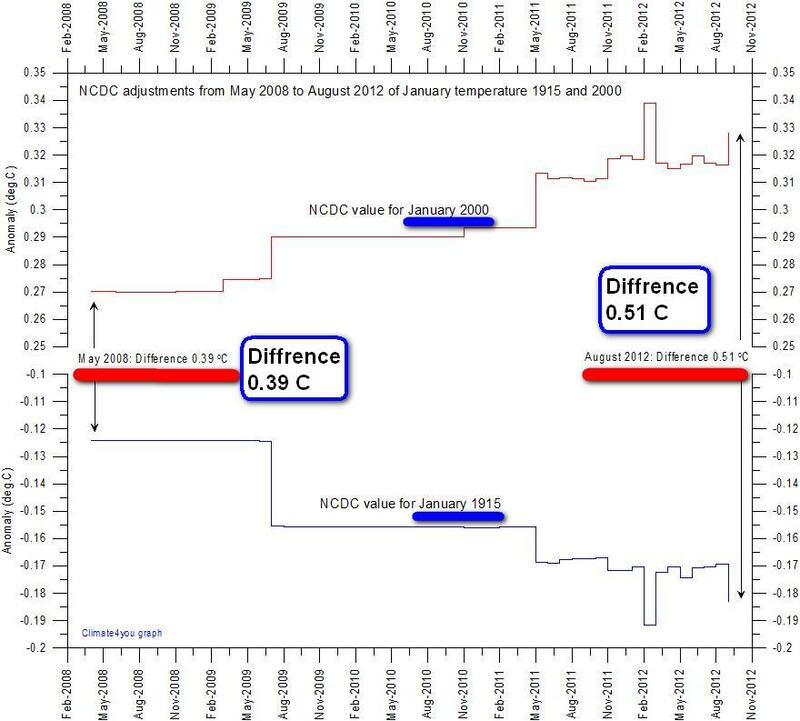 The September trend 2000-2012 is exactly 0.32 F (0.17 C) degrees a decade. This entry was posted on 9 oktober, 2012 at 11:46 e m and is filed under Fri- och rättigheter, Miljö - Environment, US Temperature, USA, Yttrandefrihet. You can follow any responses to this entry through the RSS 2.0 feed. You can leave a response, or trackback from your own site.